Toast is one of the most basic, bland and boring things you can eat. It’s the food you eat if you’re feeling sick and can’t stomach actual food. Sure, its ok with avocado, PB & J and maybe even with some butter and jam – but plain toast is just miserable. At least that’s what I thought until I came across @2slicesoftoast and my opinions completely changed. 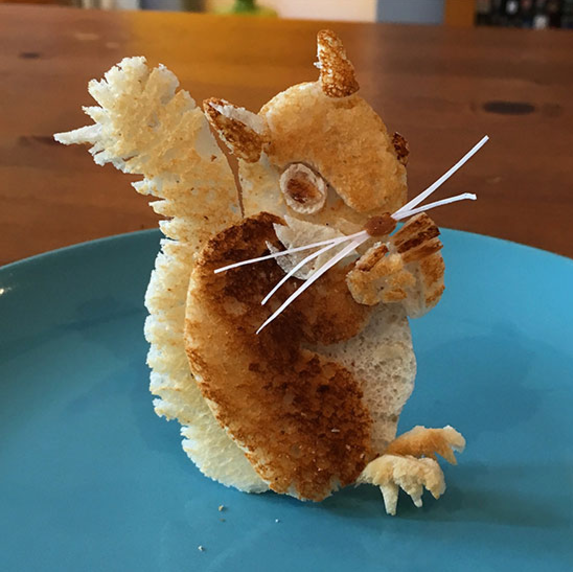 Adam Perry is the mastermind behind these amazing toast creations. 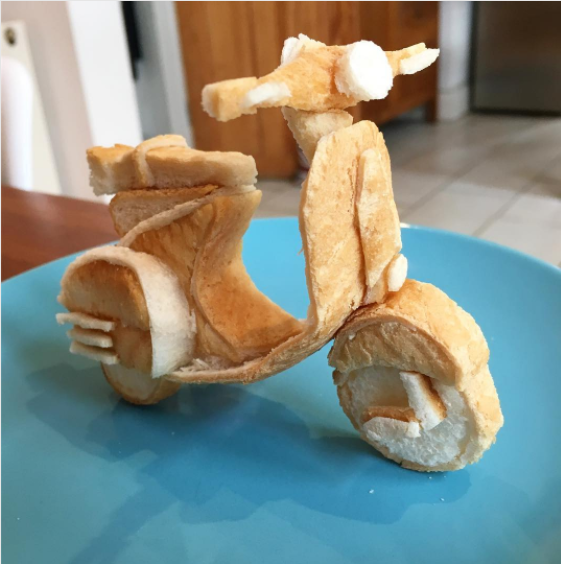 He makes them for his daughters every morning, after his youngest daughter was diagnosed with severe food allergies, and toast with sunflower oil was one of the few breakfast options she could have. He promised his girls that he would create a different sculpture for them each day, for a whole year. And boy, did he deliver. Now, Adam’s collection is almost complete. With sculptures ranging from nature to household objects, Adam can do it all. 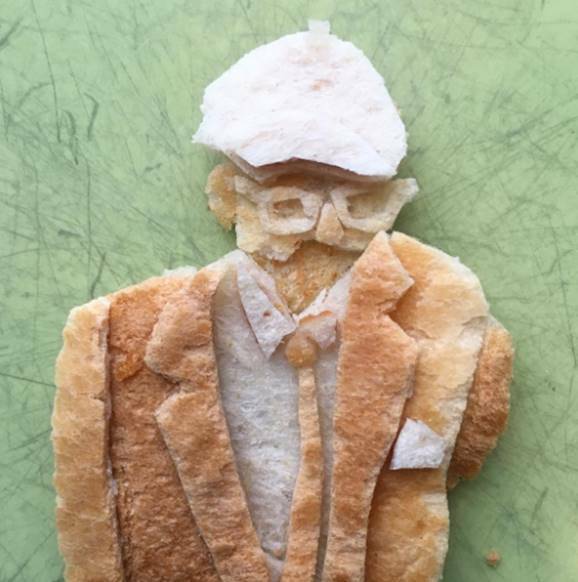 He strategically toasts the bread different amounts to get various shades of color for all of his creations. Intricately designed, you would think these would take hours to make. However, Adam claims in an article posted by FWx that he makes them “in the time it takes the kettle to boil each morning.” Crazy! Images sourced from @2slicesoftoast Instagram page.